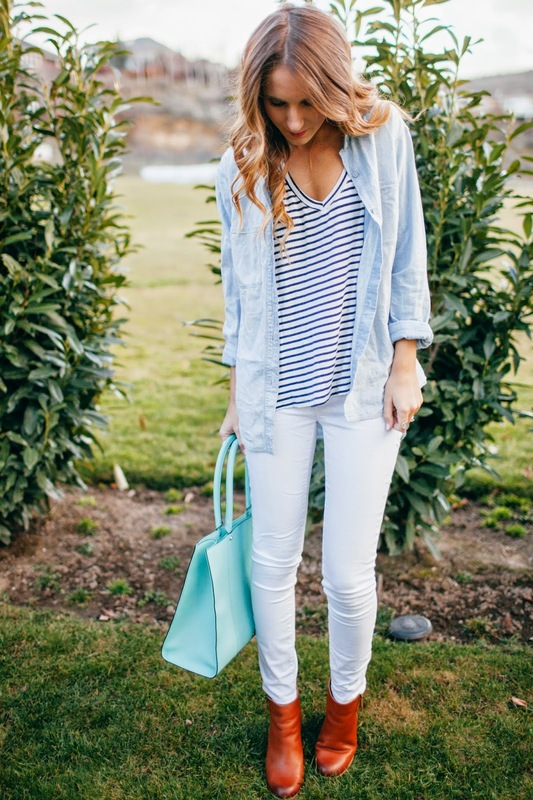 Top: Brandy Melville – I’ve linked some of my favorite striped options below! I usually wait until the spring to pull out my white denim, but I’ve been obsessing over the winter white look lately and had to pull them out a tad bit early! Especially when this weekend it reached almost 60 degrees! 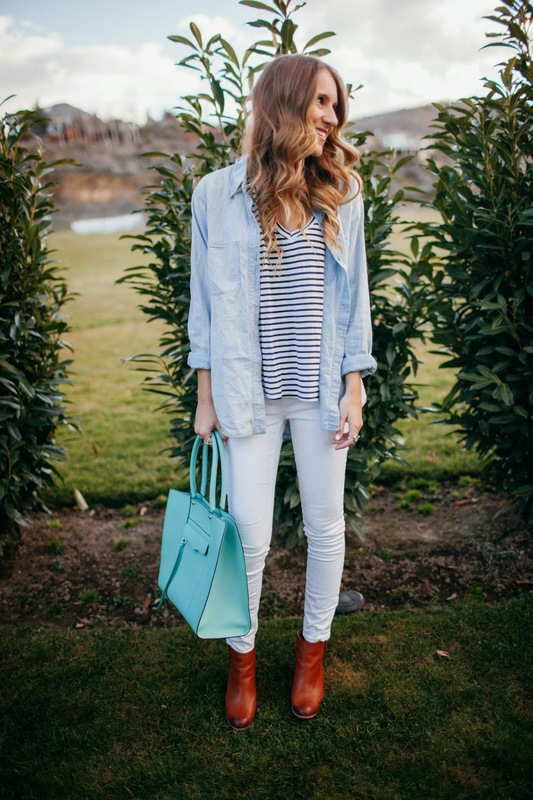 There is nothing better than white denim paired with chambray, except when stripes are involved! I know this outfit will definitely be on repeat in the coming months! That bag is pefection. I am loving the bright color! I miss color during winter! 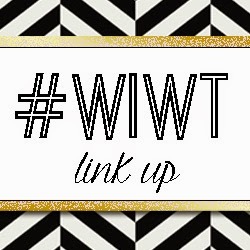 I am so excited for the spring fashions and pops of color, I am also excited for the fun accessories just like yours. It's easy to add and liven up a look. Recently I made a DIY to recreate your own Burberry inspired scarf. 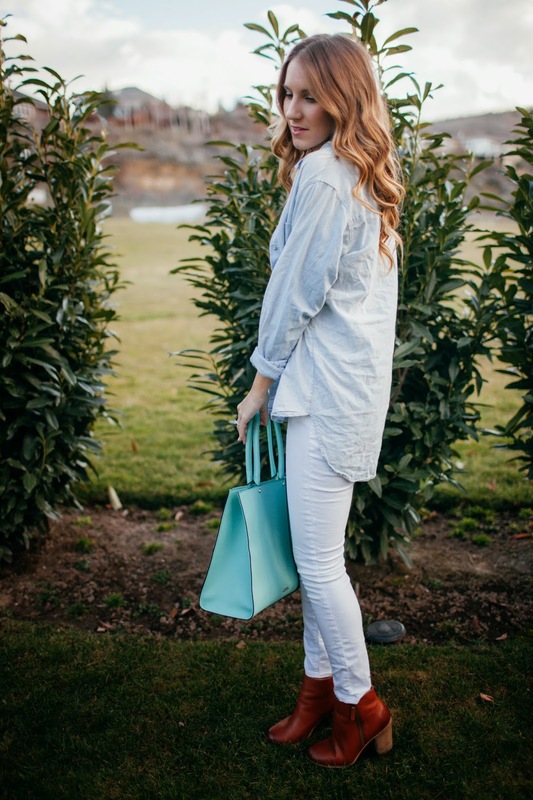 Such an easy way to ease spring into a winter's wardrobe! yes! i cannot wait to wear outfits like this!! i just ordered some new white denim last night because my old ones just didn't fit right and i felt like there was a gap in my closet because of it! this combination is soooo classic, you know i love it! 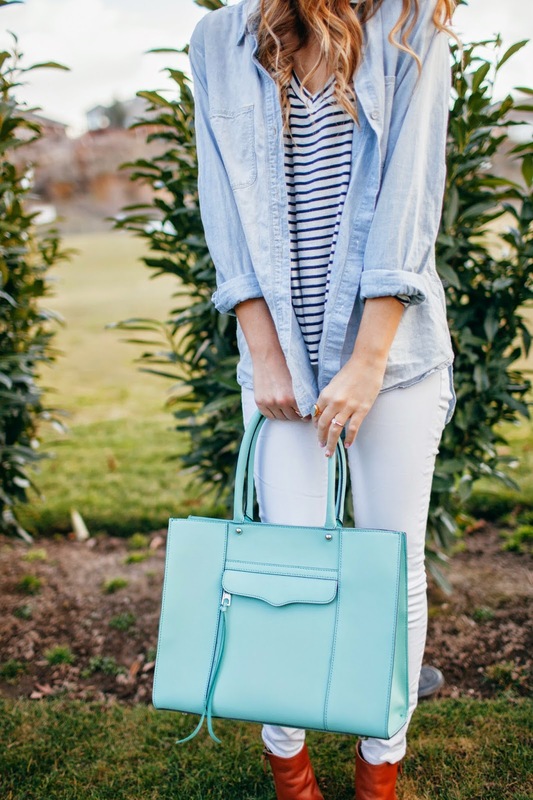 Really loving the light colors here from the denim to the handbag! Gorgeous!